Understated yet sophisticated, you'll adore the simplicity of a diamond solitaire pendant anytime. 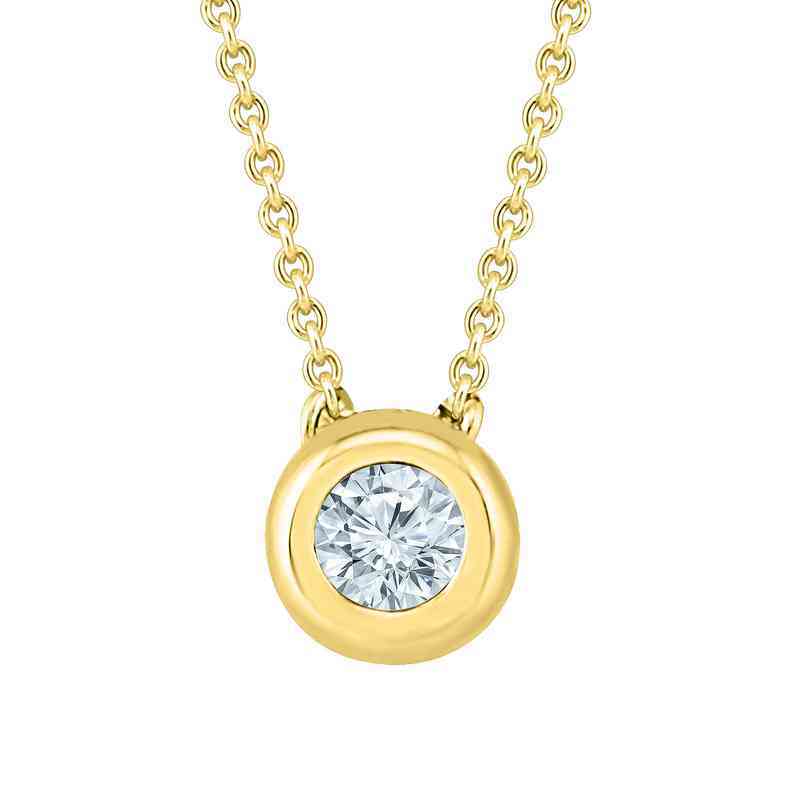 Crafted in 10K yellow gold, it features a gorgeous diamond in a bezel setting. This pendant suspends along an 18 inch rope chain. Manufactured direct from a trusted supplier.